It’s no secret that Zara is one of the most loved fast-fashion brands by all street style stars. With its new arrivals every Thursday and on-trend products, who doesn’t enjoy finding a perfect top for a great price? To sort through the multitude of clothing and styles, today I’m sharing the top three items you should keep your eye on this fall. 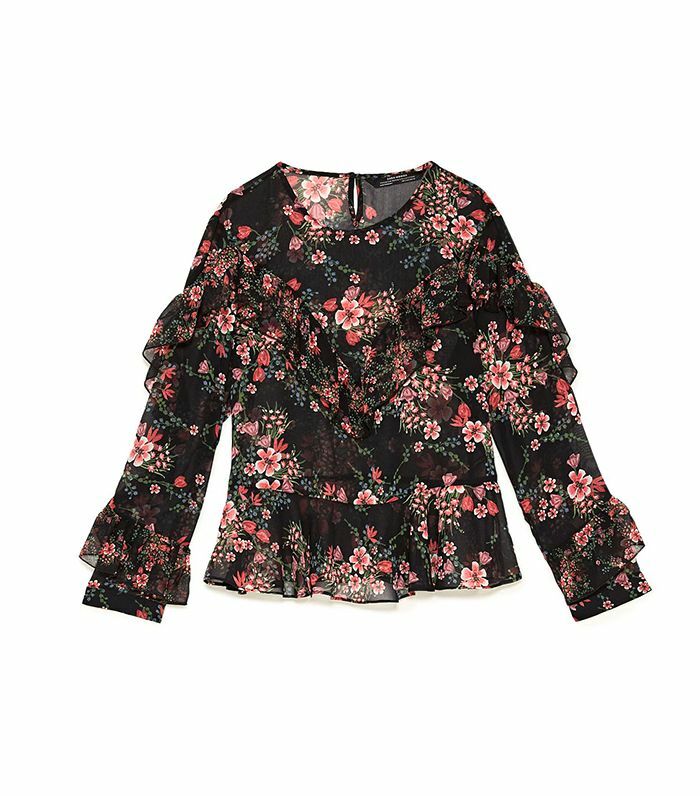 First are the amazing tops (think big sleeves, lots of volume, incredible prints and ruffles) you can score for under $100. Next, move on to the It shoes of the season: sock boots. Opting for an affordable option is a great way to test out a bold trend like sock boots. Lastly, finish your look off with an interesting outerwear piece that will update your fall wardrobe to street style status. Act fast because knowing Zara, these popular items will sell out quickly. Scroll down to see three trends I’m buying from Zara’s latest fall collection. I love this pattern for the cooler months of fall. Have you tried the dots trend? Now’s your chance. Go bold with this art deco–inspired top. Crisp lines and bright colors are perfect for a statement top to wear with any simple bottom. I love the romantic look of this top. Opt for a modern take on a classic shirt for work. Pair these fun boots with any simple outfit for a pop of color. This style will elongate your legs to be a mile long. Try out the color of the season with this pick. Elevate any outfit with this luxe pair. Switch it up from high heels with this pair of sleek booties. These look expensive but won’t break the bank. Take the athleisure trend to the next level. Pair this antique-looking frock with vintage denim to complete the look. Add this kimono to any outfit that needs a little fashion boost. Style rut? Try pajama dressing. Statement sleeves are going to be a huge trend for fall. Your grandma’s coat, only cooler. Steal your look from the boys with this broad-shouldered, masculine-fit jacket.